The San Pedro Town Council (SPTC), in partnership with the Caribbean Local Economic Development (CARILED) Project in Belize, presented their final local economic development strategic plan for San Pedro Town On Thursday, February 23rd. In attendance was Mayor Daniel Guerrero, Keisha Rodriguez (CARILED Local Resource Consultant), Jorge Aldana (SPTC Local Economic Officer), SPTC councilors, Chris Nunez from the San Pedro Traffic Department, and members of the media. 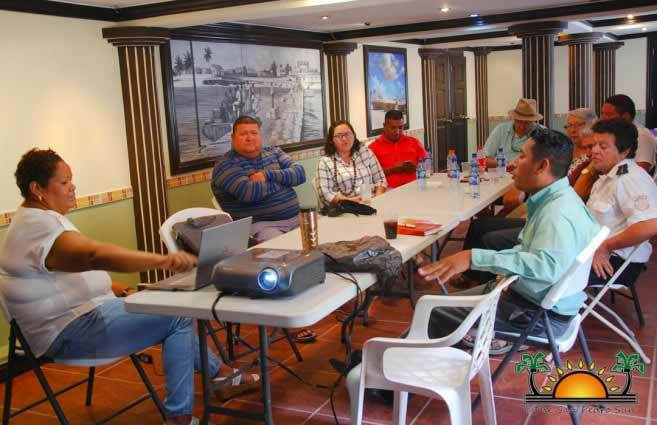 During the brief consultation, Rodriguez stated that the “green way” was the number one route stakeholders chose in terms of development for the local economic profile of San Pedro. From recycling facilities, beach reclamation and reduction in trash, the plan is set to enhance the tourism product of San Pedro. Rodriguez said that the main goal is to preserve the tourism industry. “The island is developing, and the SPTC recognized that the number one reason that people enjoy the island is because of the environment. If you are causing destruction, you are therefore damaging the tourism product.” The presentation disclosed concepts that are likely to enhance the lives of those on island, such as solar lights, panels and golf carts, reduction of waste, and beach cleaning. Rodriguez explained that enabling this kind of environment promotes proper business development.